This book analyses the political transition in West Bengal, India, which witnessed longest democratically elected Left regime of the world. 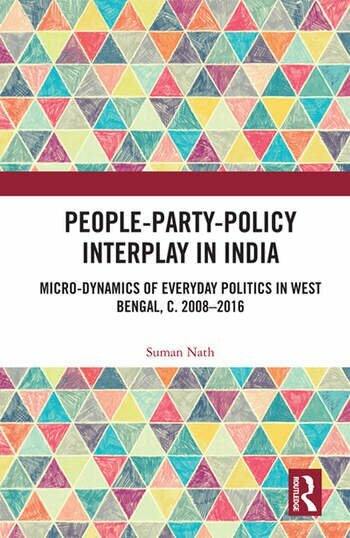 It examines and compares micro-dynamics of political practices in India and delineates underlying political themes of state politics. The author explores the politics of land reform and the anti-land-acquisition movements which were critical points in the contemporary history of Bengal in independent India. The volume further delves into the caste and communal politics which had been latent until the Left Front’s loss in the state, as well as the what sets apart politics in West Bengal from other Indian states. Based on thorough ethnographic research, this volume will be of great interest to scholars and researchers of South Asian studies, politics and political processes, sociology and social anthropology. Suman Nath teaches anthropology as Assistant Professor at Dr A. P. J. Abdul Kalam Government College, Kolkata, India. Since 2007, he has been researching on issues of politics of resource allocation, which includes a stint as Research Associate at Public Policy and Management Group, Indian Institute of Management Calcutta, India. He has published in international journals including The Economic and Political Weekly, Journal of Human Values, Review of Development and Change, Commonwealth Journal of Local Governance on issues of politics, corruption and governance. He has also participated in different research programmes organised by the UNDP, Planning Commission and SaciWATERs. Apart from his academic publications, Dr Nath runs a couple of internationally recognised blogs and writes popular articles in Little Magazines and Bengali dailies, including Anandabazar Patrika.